Israeli Air Force assisting in rescue of children trapped in Jordanian bus by flood waters after request by Jordanian government. The IDF has begun assisting in rescue efforts after a Jordanian children's bus was swept away by flood waters near the dead sea. The IDF Spokesperson stated that in light of the request of the Jordanian government, a number of Israel Air Force helicopters from the 669 elite search and rescue unit departed under the command of the unit commander. The soldiers are currently assisting in the rescue operations and locate the missing, and doing everything in their power despite the weather conditions to assist the survivors in the flood zone. 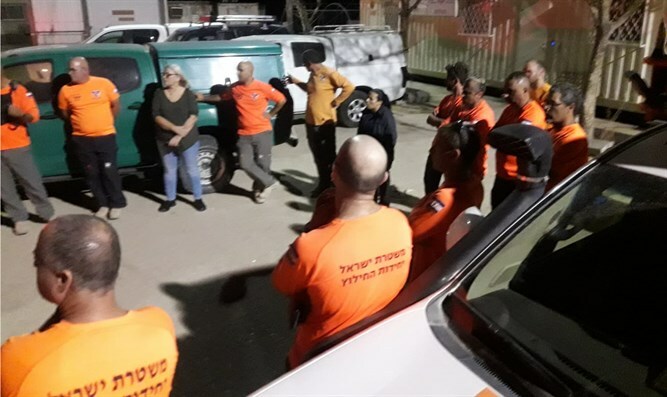 In addition, the Megillot Search and Rescue Unit, under the Israel Police, is being dispatched to Jordan to assist in the rescue efforts. Seventeen people, mostly students, have reportedly been killed by the floods in Jordan. Relations between Israel and Jordan have deteriorated recently. On Sunday, King Abdullah II of Jordan announced that he had decided not to extend the part in the 1994 Jordanian-Israeli peace treaty which leases regions of the Arava and Naharayim to Israel. The floods in southern Israel turned deadly Thursday afternoon when a four-year-old boy drowned when he was carried away by flood waters after the Nahal Arad river became flooded during a rainstorm. After the boy was recovered, he was rushed to Soroka Medical Center in Be'er Sheva while in critical condition.